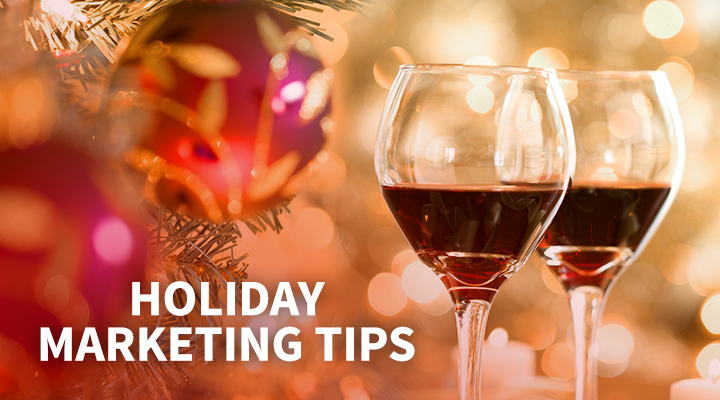 The holidays can be a lot of fun, but they can also be a business challenge. This is the time of year when the arena is most competitive, when the most business is up for grabs, when spending reaches a fever pitch. The nice thing about it is that the season and the way it is celebrated virtually guarantee that it is going to bring you some more business. The question is, how are you going to maximize the amount of business you gain from this very special time of year? This one is a lot of fun, and plays to the strengths of establishments with dessert, or “treat” items on the menu. The number-one way restaurants get in on the gift-giving season is with gift cards/certificates. To drive these sales, give the buyer a gift. Exhausted shoppers will be pleased to cross a name off of their list with one of your gift certificates – and get a free cupcake! Or a good, strong cup of coffee with some whipped cream on top. It’s the ultimate holiday BOGO, and makes your establishment an oasis, a respite from shopping, instead of just another place to get in and out of quickly. This technique works best for folks who have non- or semi-perishable items. Many businesses specialize in this particular setup, but few outside the niche take advantage of the gift-giving season to whip up some nice, colorful baskets with treats for Christmas day and lots of color. Remember, you don’t have to stick just to your menu! You can include special holiday items, especially cheeses, jams and jellies, and small bottles of sauces, dressings, or even skin-care products to round out the package. And don’t forget – a nice, big bow to top it off! The holidays are not just about gift-giving, they are about celebration. It’s possible to over-focus on trying to draw in gift dollars, but people are also getting together with family and enjoying each others’ company, and they’re looking for events to attend together to make the time special. Creating events to allow folks to simply come in and have some fun in your restaurant with their loved ones is a great way to tap into this category. A traditional Christmas dinner menu, a menu featuring holiday food from different countries, holiday drinks, or family packages are a great way to increase the number of customers who buy a meal from you during this season! Including a kid-friendly event on your holiday calendar can be a huge boost. For many families, giving the children a magical holiday experience is the focus of this season, and you can join in! Sell a class in making gingerbread houses or decorating cookies, and you give them something to take home and enjoy, and to remember you by. Becoming part of a family’s holiday tradition can pay dividends for years to come. The new year is sometimes a let-down. The holiday season is over, and it’s winter. But you don’t have to let the holiday season go just yet! The evening of the fifth of January, known as Twelfth Night, is a traditional festival of food, drink, and merrymaking – which places it right in your front yard as a restaurant owner. Wassail punch, tortell, king cake – there is a whole extra holiday you can celebrate on the fifth of January, when everyone is feeling letdown and missing that holiday zest. Of course, there are an almost infinite number of ideas, and variations on these ideas, and knowing your clientele, and understanding the brand image your establishment has in peoples’ minds will always color how you promote and enjoy the holidays. These ideas are not just suggestions, but intended to give you a jumping off place, to think of promotions that are a little out of the mainstream. The important thing is to keep it fun, for your customers, and for yourselves. We here at TVI wish all of you a safe, profitable, happy holiday season. Holiday is definitely a good time to celebrate customers‘s loyalty, a time when we can do something to remind current customers of coming and sitting at the table we save for them and celebrating their holiday with their friends and families. Customization is definitely an approach restaurants should go after, as restaurant business is more about relationship business. With a offer of privilege for his or her loyal, the customer will more likely become a brand ambassador to make recommendations for your restaurant in a natural and comfortable way. In other words, restaurants could celebrate holiday on a broad, customer-centric level, promote themselves properly when customers need to find a decent place to celebrate their”holiday”. Ceremony, memorable dates are the right holiday for restaurants. Above is my personal opinion, stimulated by this wonderful blog.